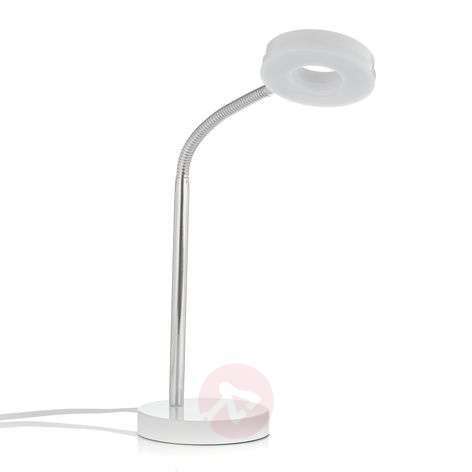 The LED desk lamp Rennes is as practical as it is visually appealing. The base and lampshade are made from white plastic. The base has been designed as a round disc, whilst the lamp head is a plastic ring. The offset diffuser comes in a matching opal white colour. The flexible metal arm is very useful. The upper third can be rotated to the desired direction. As such, the desk lamp can be adjusted to shine in the required spot. A built-in 4 W LED emits warm white light at 3,000 kelvins. 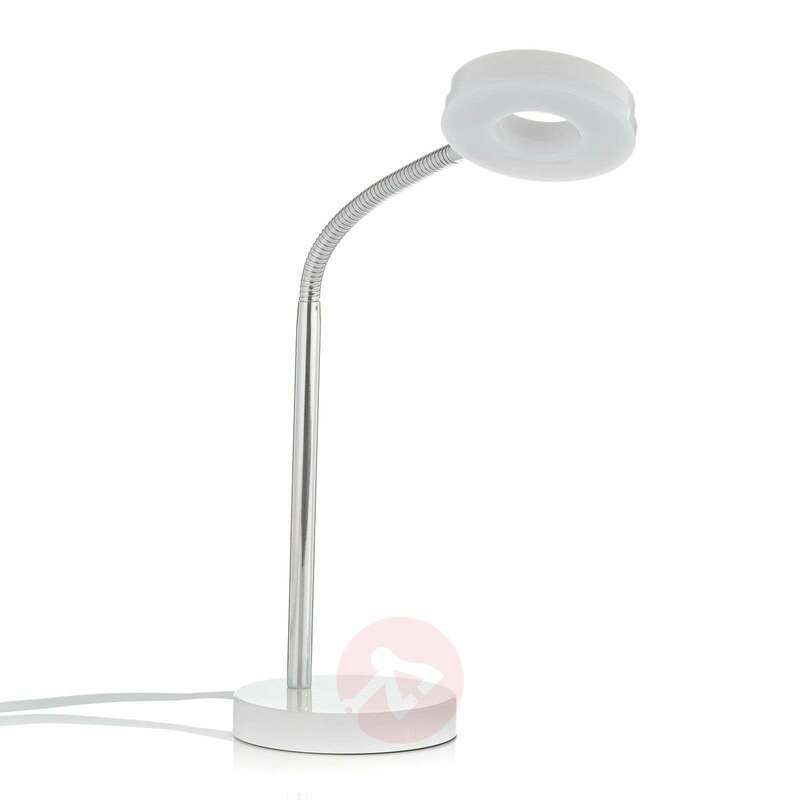 Rennes is a perfect lighting accessory for the modern desk.